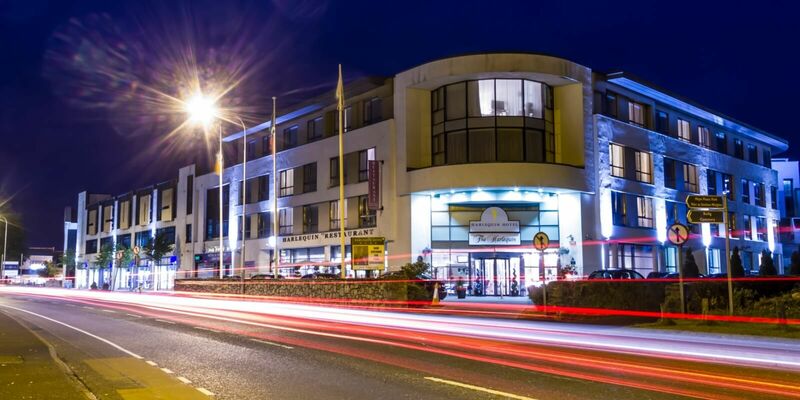 The Harlequin Hotel is centrally located in the heart of County Mayo in Castlebar Town Centre with onsite parking and within easy access to the train station and bus stop. Castlebar’s only centrally located 4* hotel we are the perfect base for you to discover this beautiful and inspiring region. Stunning natural beauty, vibrant urban centres and a quality of life unmatched anywhere in the country of Ireland awaits you. During you stay Explore the Wild Atlantic Way, cycle the Great Western Greenway Route, Take the ferry to Clare Island or to Inishbofin Island both perfect for walking & hiking. Achill Island with its stunning beaches & scenery is within easy reach by car from Castlebar and is very popular for water sports. Croagh Patrick is only a 30 minute drive from the hotel overlooking the 365 stunning Islands in Clew Bay. Explore the nearby towns of Westport, Ballina, Newport, Knock, Foxford, For movie fans Cong (quiet man) and Leenane (The Field) are a must visit. Or visit the Museum of Country Life, The Foxford Woollen Mills, Westport House, Mulranny national park, The Nephin mountain range, Erris peninsular, Ceide Fields, Down Patrick Head, Lough Conn, Knock Shrine all within easy access from the Harlequin Hotel. Enjoy the best of Irish Cuisine using the freshest local ingredients washed down afterwards with a pint of the black stuff in a traditional Irish pub. With so much to offer it’s hard not to fall in love with Mayo. The Harlequin is a very popular hotel for short breaks in Ireland. Our style conscious guests love the unique style and contemporary feel of our Chic Boutique style hotel with the unusual décor and quirky colour schemes an enduring favourite. We love our style but comfort and your enjoyment is of paramount importance. 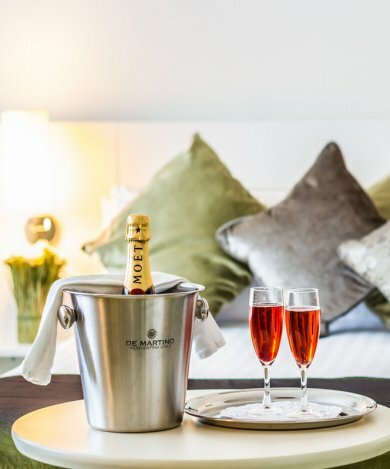 From our Heavenly Hypnos beds to our Foyer Restaurant where you can dine fabulously with skilled chefs preparing dishes using delicious local ingredients in a delightful space with warm welcomes. It is no wonder our guests are reluctant to leave! 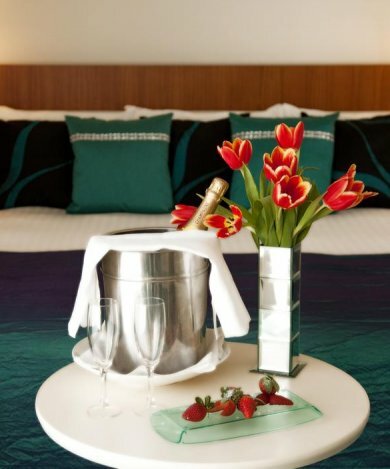 Harlequin Hotel is surely one of the hidden treasure of Mayo waiting for you to discover.